Following the leaked of bedroom photos showing Nnamdi Kanu and his wife, the IPOB leader has reacted. 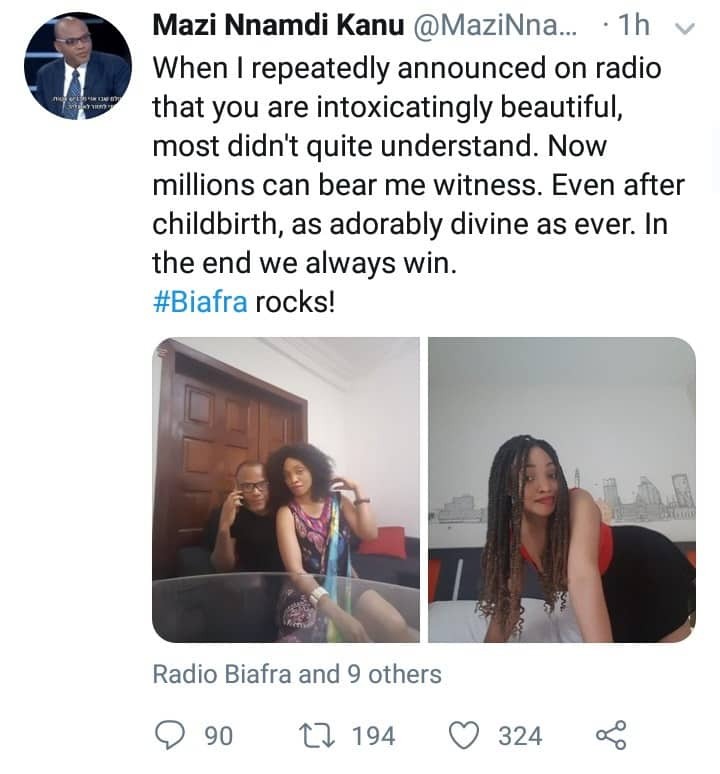 Leader of the Indigenous People of Biafra, IPOB, Nnamdi Kanu has reacted after a viral video showing him and his wife having a nice time in bed surfaced online. 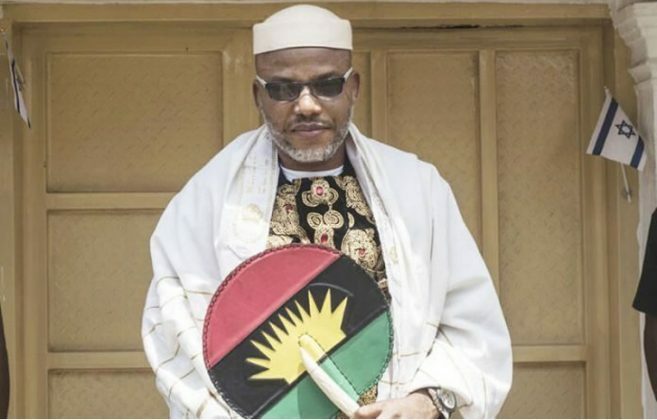 In the video, the leader of the Indigenous People of Biafra and his wife could be seen having a private moment in the bedroom. The wife was clad in only her underwear as she filmed herself and her husband getting intimate.